#ad: This is a compensated campaign in conjunction with Febreze, all opinions are my own. Being an apartment dweller in the city that never sleeps means not just noisy neighbors but incredibly smelly ones too. Let's just say their 'assorted vices' are very intrusive and the current construction on the building is sending a ton of dust particles into my apartment. Which equals a NOT so happy butterfly. While a trip to the tropics until the construction on the roof blows over (and my stoner neighbors move out - a girl can dream can't she?) isn't quite possible at the moment, I got sent the next best thing, A Febreze Mini Tower HEPA-Type Air Purifier! With the holidays approaching and guests bound to be paying visits, I am glad I have this in my arsenal to keep the air in my apartment smelling fresh and clean! Ƹ̵̡Ӝ̵̨̄Ʒ - Removes Particles that are typically invisible to the naked eye, yet can contribute to household odors and dust that build up on surfaces. Ƹ̵̡Ӝ̵̨̄Ʒ - Triple Duty: (1) Cleans the air through HEPA-Type filtration, (2) Removes up to 99% of airborne particles, and (3) traps household odors while adding a fresh Febreze scent to the filtered air. Ƹ̵̡Ӝ̵̨̄Ʒ - There are currently two scents available for the scent cartridges: Linen & Sky and Spring & Renewal (those are my top two scents when I buy Febreze Sprays for my home, so I was happy to see those are the ones that are currently available for the Air Purifier. I put it straight in my bedroom which doubles as my home office as the building construction is taking place right above me at the moment, and I put the control on MAX for scent and the highest for air cleaning and I noticed a HUGE difference even faster than I expected as the dimensions to the room are surprisingly large for an NYC apartment. This is my first Air Purifier ever and the psychological benfits I am reaping on not feeling guilty about dusting enough are PRICELESS!!! Not to mention not having MY spaces smell like other people's vices and habits. I HATE the smell of cigarette smoke, I have never done it, and hate when that smell wafts into my apartment. Another thing I noticed that I wanted to share with you all, is that as someone who sits in front of a computer for hours is that I tend to breathe more shallow than I should. Office air environments can also be quite stuffy, and one of the real benefits I also immediately noticed is that I have been taking much deeper breaths now and I breathe in less shallow and more profound. As a lifelong asthmatic that has to be by far my favorite plus for the unit. I like taking Gaming vacations (for regular readers I'm sure that comes as no surprise) and I often have to have the hotels I stay at provide me with an air purifier, especially if I get stuck with a smoking room when I specifically ask for NON-smoking and they can't change me. I usually have to leave those units running during the day while I'm out and about and tend to turn them off at night because they were super noisy! Not with this one. It's quieter than I expected it to be at the max setting for air cleaning. I am NOT saying it is noiseless, but it is significantly quieter than the units I have been exposed to. This one does get a thumbs up from me, and I am considering the Tabletop unit for the kitchen as I am a seafood and spicy food lover and would prefer my whole apartment doesn't smell like what I am cooking! So a dedicated unit in that room might be a very good idea. 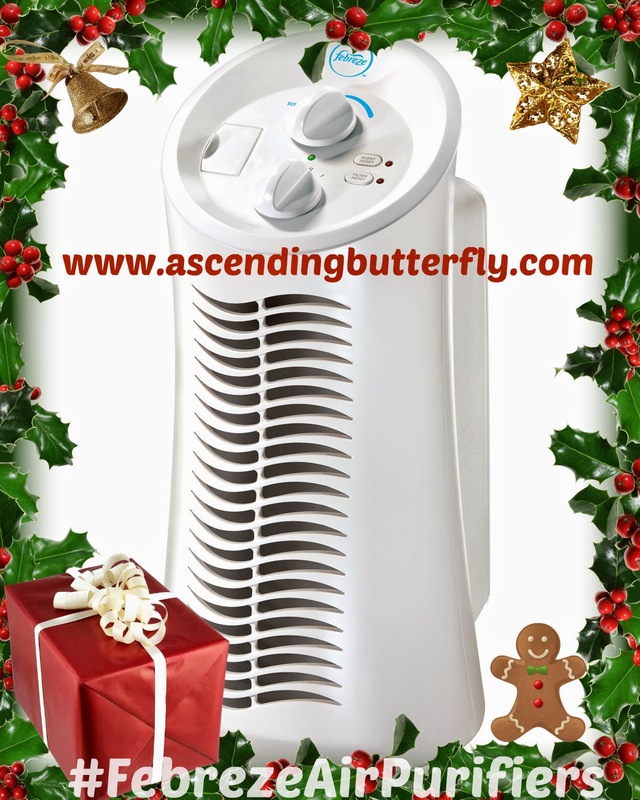 Check out www.febrezeairpurifiers.com for more info! You have the chance to win an Air Purifier with extra refill cartridges and extra filters thanks to our friends at Febreze! Who loves YOU Butterfly? FTC Disclosure: I was provided with a Febreze™ Air Purifier - FHT180W Mini Tower HEPA-Type Air Purifier for Editorial Consideration. This product review and giveaway is part of a compensated campaign, however all opinions are 100% my own. I am disclosing this in accordance with the Federal Trade Commission 16 CFR, Part 255 - Guides Concerning the use of endorsements and testimonials in advertising, you may visit our full giveaway and disclosure page for complete policy information. Our house is dusty because we have forced hot air heat. We could definitely use one of those. I love Spiced Pear. My favorite YA book is *Looking for Alaska*. This sounds like a great product. I would like one for my home office. I work 10 hour days so I am in this small room a lot. Vanilla Latte is my favorite scent. 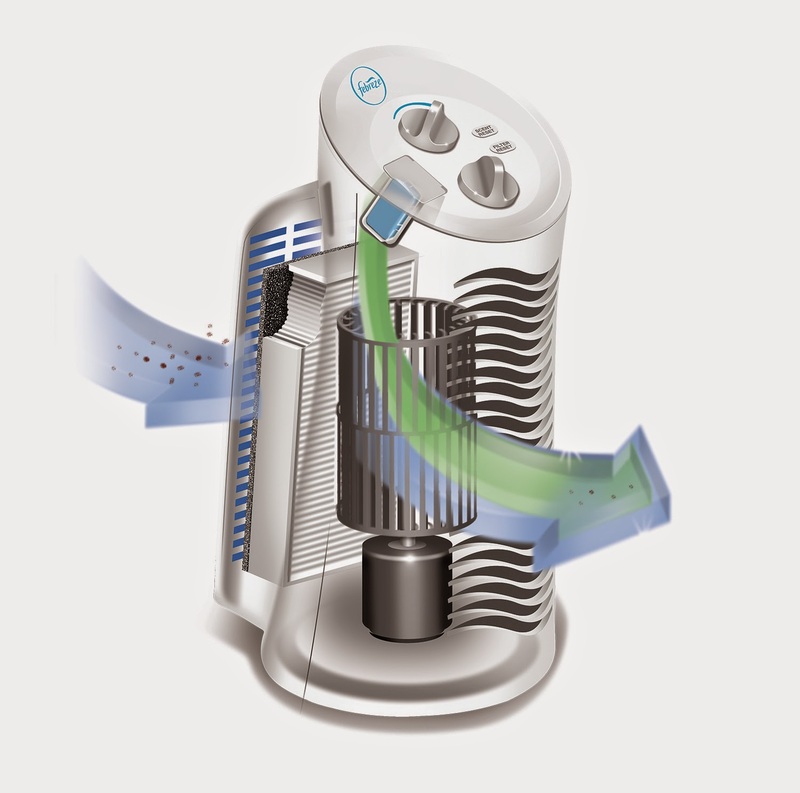 I could really use A Febreze Mini Tower HEPA-Type Air Purifier we all have allergies and pets . This would be just the thing we need !! I love simple scents like rain air. This looks like a great product to have. That is exactly where I would put it too. In my bedroom. I spend a lot of time in there and would love the air purified. This is so interesting that Febreze has air purifiers now! Thats a great way to expand on their brand! I did not know that Febreze made HEPA-Type Air Purifiers. I will be checking out the store next visit to check these out. This looks great! I always light candles because my apartment tends to smell at times, but this would be a great alternative! I would like to have and try one of these out. I have a cat liter box in our house that I hate the smell of. That's so interesting about the shallow breathing! I never would have thought that. I'm so glad this is making your air cleaner for you! I didn't realize this was out until today. I'd love to have one of these in the house. Winter makes it stuffy. Linen & Sky is my favorite.I love their products! This is just what I need! The regular fresheners just don't cut it with two cats, four dogs and four boys. This would be the perfect solution to have our house smelling great. We just got one and it is SO awesome. IT helps get rid of the pet smell. My favorite scents are rain and sea breeze. Berrylicious is a good scent. We keep the Hawaiian scent in our plug in!! My favorite Febreze scent is Moonlit Lavender. I like Vanilla and Midnight. This would be amazing because I live in an apartment also where people have very bad vices. My favorite scent is the Hawaiian sent. I love febreze products! My favorite scents are quiet jasmine and crisp clean. I haven't tried it yet but I think I'd love the Hawaiian Breeze scent! My favorite scent is linen. Vanilla Latte! We have an elderly small dog sanctuary, so could really use this with my COPD! Hawaiian Breeze is my favorite. I love the Warm Milk and Honey! I really like the Vanilla Latte, it smells so good. Congrats. Bill H. enjoy your new Febreze Mini Tower HEPA-Type Air Purifier.